It’s an institution around here… There’s no getting sick or missing this day because something else is going on! It’s like gathering in the badlands, or sale day, or shipping day. It’s the day so many things come together. If a cow isn’t pregnant… she will be sold. So… did the bulls do ok? If they aren’t pregnant… why? Are the young ones too busy still growing to cycle correctly? Have they lost too many teeth to keep themselves fat and healthy? Are they too late in their cycles to be pregnant when we want them to be? There’s all these influences… and it can be tough to sort out the WHY part of it… although the guys always try. 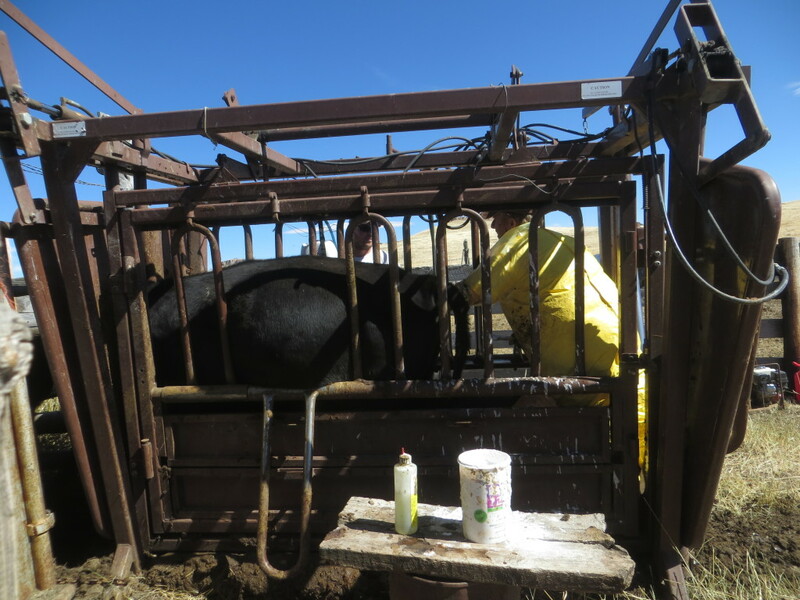 Preg testing itself always stays the same… Cows are run through the corral and alley and squeeze chute where the Good Doctor does a pelvic exam. He left arm is “engaged”. If they’re pregnant, normally a line would be bleached onto their side to distinguish them. The farther towards the head will be the early calvers, the farther towards the tail, late calvers. The vet uses people hair peroxide, mixed a little stronger than your beautician does. Since we’re so special, we get a nice pretty “G” on our cows! The Good Doctor is a funny guy! Open cows are sorted into a pen. The pregnant ones are released. Victoria helps Johnny with the paperwork. Older cows are “mouthed out” to see how many teeth they have left. 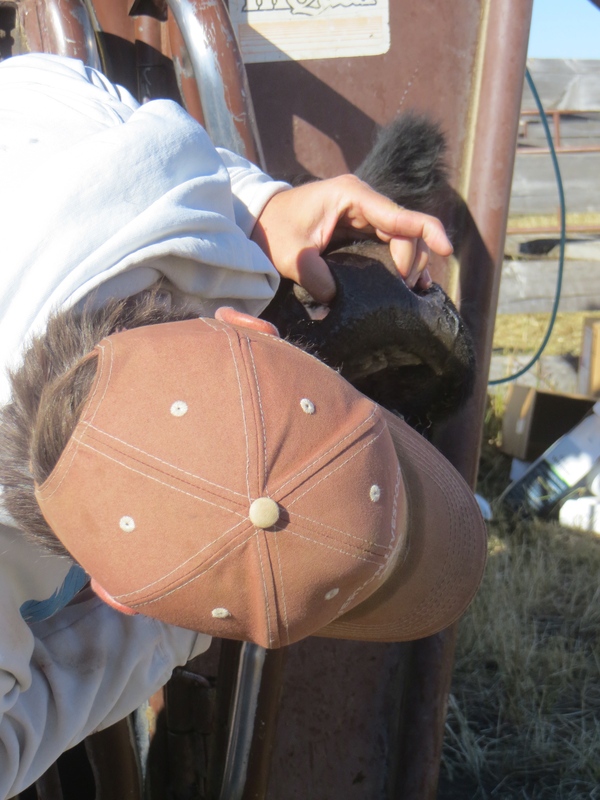 Cows have 8 bottom incisors, and none on top. They also have molars at the back, but we just look at the front ones. That’s where the grass ripping occurs! A “broken mouthed” cow will be less efficient, meaning thinner and possibly not bred or as good at producing milk, if too many teeth are missing. Now, cows aren’t used to people looking in their mouths, so you have to be relatively fast, you have to be strong, and you usually have someone else to look inside while you’re struggling to hold onto an uncooperative cow! How do you hold on? Yeah. It gets a little slippery. One of these days, I’ll get a good photo of this… but it’s a position you can’t hold for very long! The “open” (or non pregnant) and old cows were loaded on a truck today and sent to the sale barn where they’ll sell on Tuesday. 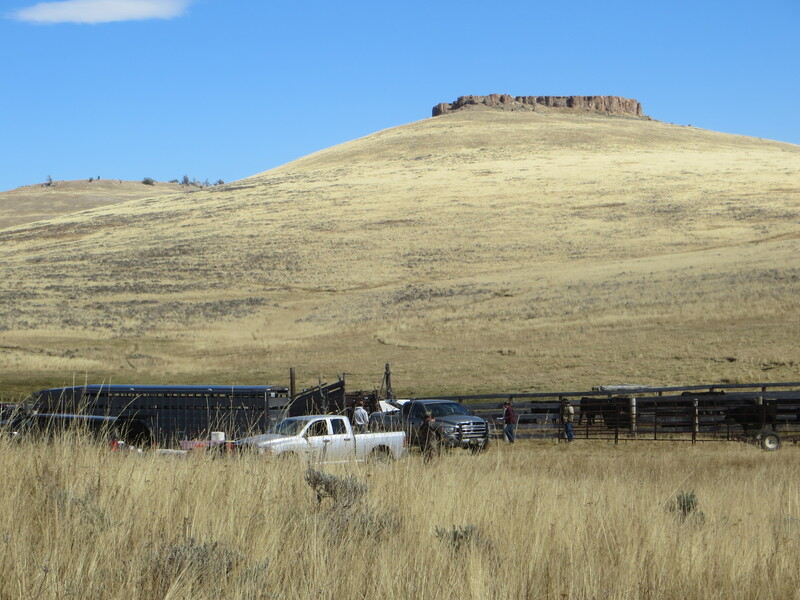 It’s sad to see some of them go… but that’s life on a ranch in the Far Far West. This was a very interesting post this morning. 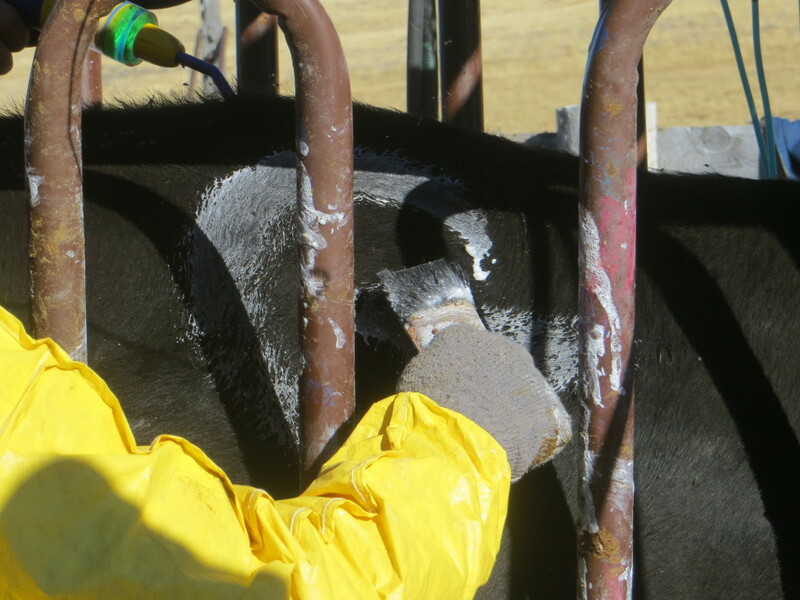 Always amazed at the ingenuity as in the way you mark cows according to when they will calve. I understand it’s most likely a common practice on ranches, but fascinating to this non ranch gal. 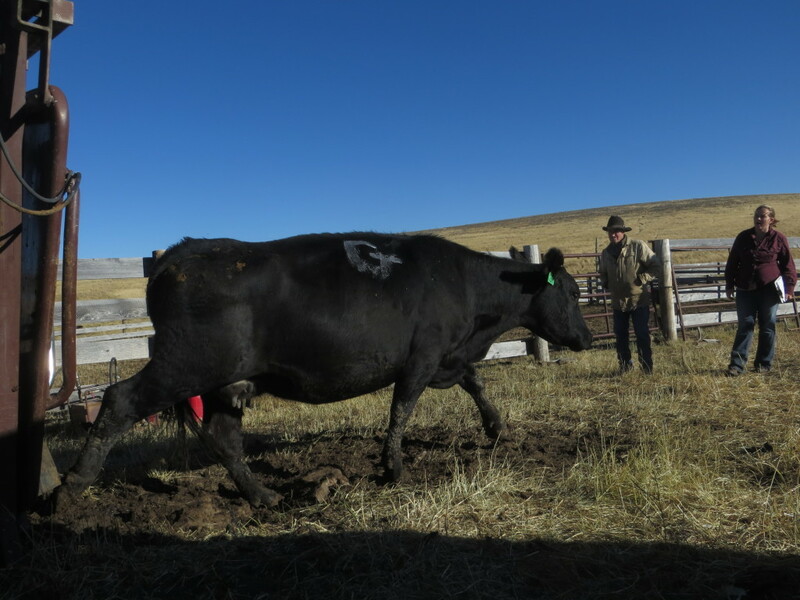 Hoorah for your family’s history as successful ranchers – I keep learning more about the seasonal routines, the how to’s, and the teamwork. And I think the Good Doctor gets a hoorah as part of it all. Excellent post today. 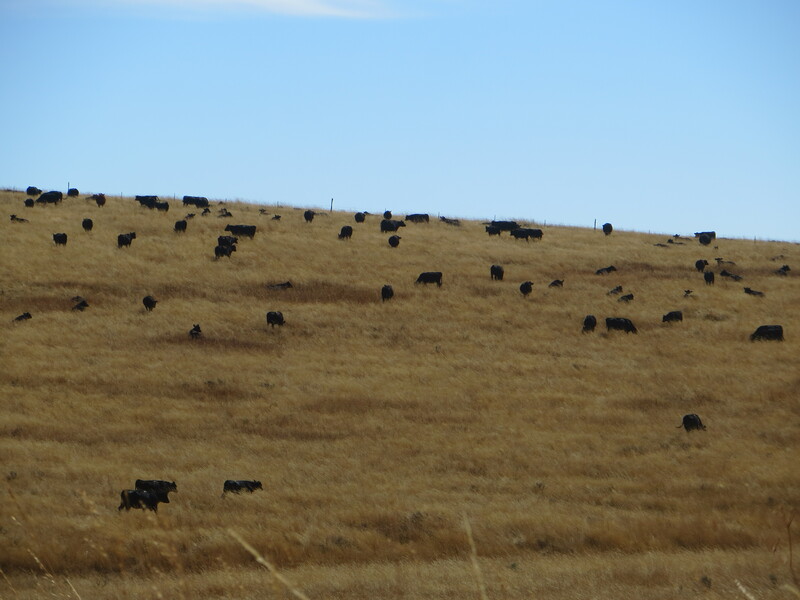 I learnt a lot about life on your ranch reading this blog. Hope the day went well for you all.